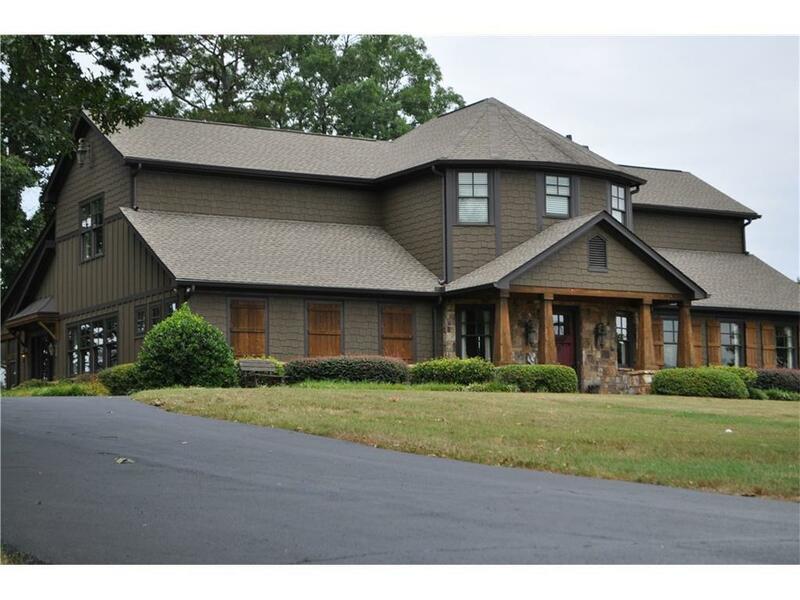 This gentleman's farm with gated entrance is nestled on +/- 20 acres of rolling hills and mountain views. Elegant and handsome gourmet kitchen. Keeping room, library, office, dining room & great room. Each large bedroom has it's own suite style feel, with elegant baths and walk in closets. Pastures, pond, creek, 2 car garage, barn, equipment pole barn, workshop and play house all included. Close to town in desirable North Hall. Live, entertain and enjoy country living. Directions: 985n, Exit 24, Left On Jesse Jewell, Right On Hwy 129n (Limestone) At Kroger Shopping Center, Right On Hwy 284 (Clarks Bridge Rd), Rt On N Browning Bridge Rd - Gated Entrance On Left.